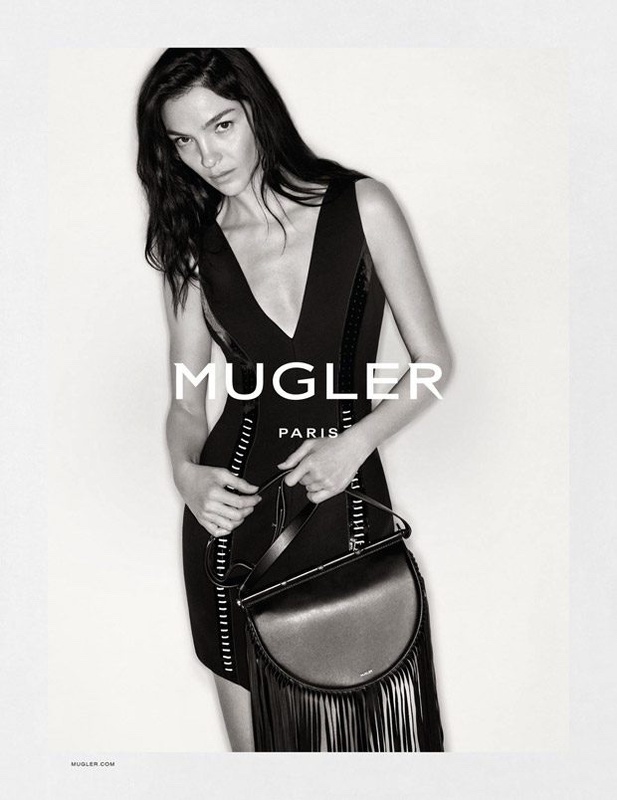 Mugler heats things up with its fall-winter 2016 campaign. 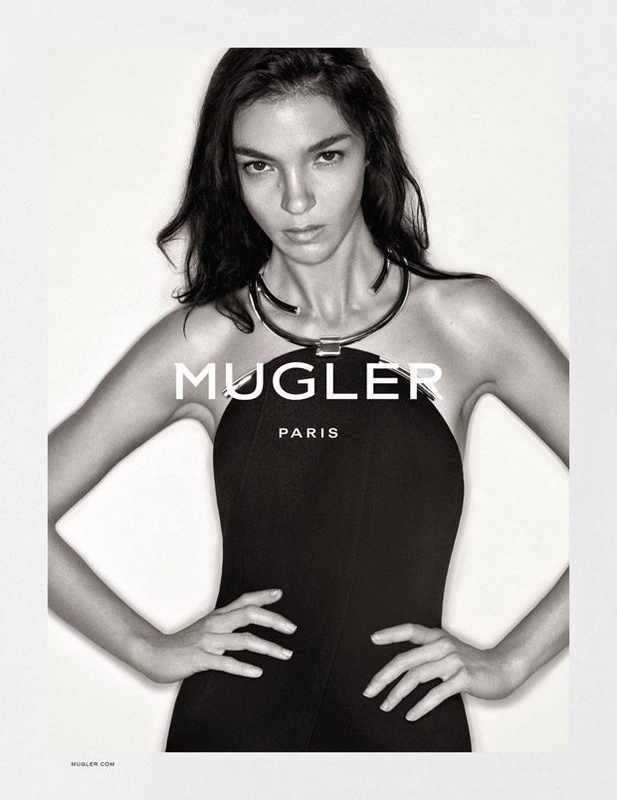 The label taps Italian model Mariacarla Boscono to front the black and white advertisements lensed by Christian MacDonald. The brunette is an alluring vision wearing dark looks fit for the modern seductress. Whether she is wearing a bodycon gown with high slits or a box jacket with leopard detail, Mariacarla works it in every shot.